(KATHMANDU, 29 August 2017) – While informing Parliament on Monday (28 August) about his State Visit to India, Prime Minister Sher Bahadur Deuba expressed no regrets on his remark about the amendment of the constitution. He has deployed his all power to prove that he was right in New Delhi’s Hyderabad House to brief about the fate of the amendment of the constitution to the Indian counterpart Narendra Modi. 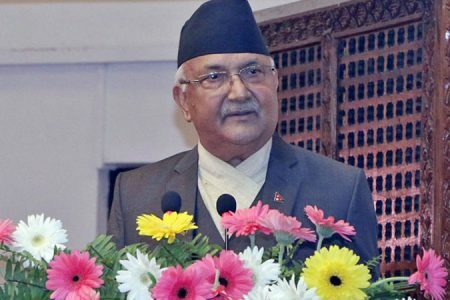 First at Nepal International Airport upon his return on Sunday (27 August) and second in the parliament, Prime Minister repeated the same statement that he had done nothing wrong that has eroded the image of Nepal. 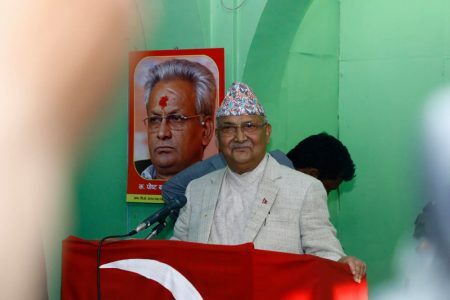 But the overwhelming majority do not believe in Prime Minister Deuba, who is in power after a deal that was tacitly supported by Indian establishment. Even though Deuba himself told to parliament that the amendment of Nepal’s constitution was purely domestic issue and would be resolved domestically involving all domestic stakeholders, he didn’t pronounce even a single word of remorse on Delhi’s expression. ”There shall be no compromise over the internal affairs and Constitution of Nepal. All these unwarranted comments make no sense” he said. Deuba’s stubbornness reflects that the statement was deliberate to please Modi. It’s not something that can be overlooked. 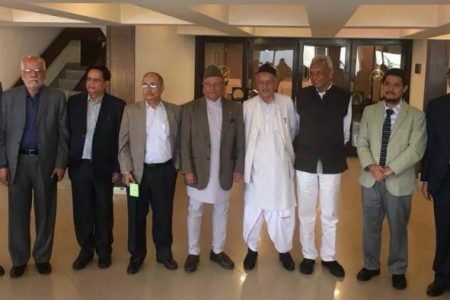 Deuba has committed blunders by raising very domestic issue – amendment of constitution- in New Delhi and making commitment that the amendment will be passed by required two-third majority soon. It’s none of Modi’s business. Modi can be a powerful Prime Minister of India, after Indira Gandhi, but he can never be a domestic party of Nepal. But our Prime Minister clarified that he couldn’t pass the amendment bill due to the lack of two-third majority in Parliament. That was not the right time and forum to talk about the constitutional amendment. After the denial of Nepal’s parliament, the bill was failed that was anticipated. When the fate of amendment bill was decided by the majority of parliamentarians, the issue turned into non-issue. Even the Madhesi parties accepted the fact and have focused on the election of local bodies. Therefore, Prime Minister should realize that he made mistake. He should tell the citizens that he was not inviting Indian leaders to intervene in the domestic issue. 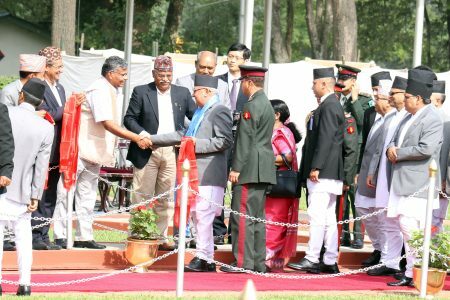 Equally important issue is the Nepal’s capacity to deal with the neighbours and international actors. Until and unless, a uniform foreign policy is formulated and practiced, it’s hard to achieve national interest. The very first prerequisite to make stronger Nepal’s position in dealing with external communities is to prepare an ‘uniform position’ of all political parties and other stakeholders on Nepal’s Foreign Policy. For that all major parties should sit together leaving aside the petty, personal and parties interest and agree on the common position on national interest and foreign policy. There is one famous saying in diplomacy – Foreign policy can be changed but national interest is always same. To achieve this national interest, all parties should make a common journey.